Jennifer M. Lujan has maintained an exclusive practice of family law for the past twenty (20) years. 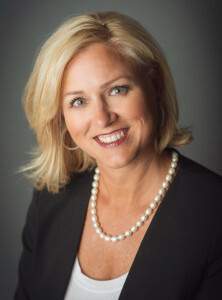 She graduated from law school in 1994 and began a career focusing on family/domestic law in 1995 when she joined a small family law firm in Bingham Farms. In 1997, she joined A.D.A.M. (American Divorce Association for Men) in Southfield. She became a named partner at that firm, Hoffman, Wartell & Lujan in 2001. In 2004, she formed her own firm, Jennifer M. Lujan P.C. and continued her committement to domestic and family law issues. Jennifer M. Lujan P.C. is located in downtown Mount Clemens, directly across from the Macomb County Courthouse. In 2010, Ms. Lujan was named Top Lawyer for Family Law by DBusiness, she has been rated by her peers and the judicial branch as AV Preeminent by Martindale-Hubbell, which is the Highest Possible Peer Review Rating In Legal Ability & Ethical Standards. Ms. Lujan was also listed by The Legal Network as 2015 Top Lawyers in Michigan for the Highest In Ethical Standards & Professional Excellence. She received the Client Distinction Award in 2015 and Michigan Top Lawyers for Achievement & Success in the Area of Family Law. In 2016, she was named as one of America’s Most Honored Professionals, which is awarded for continuous professional recognition and only awarded to the top 1% of American Professionals. Her dedication and understanding of the complex issues involved with Family Law is unparalleled. From her office in Mt. Clemens, Michigan, attorney Jennifer Lujan, represents clients in divorce and other family law matters in Warren, Sterling Heights, Saint Clare Shores, Roseville, Eastpointe, Mount Clemens, Fraser, New Baltimore, Center Line, Utica, New Haven, Romeo, Clinton Township, Harrison Township, Macomb, Ray, Washington, Bloomfield Hills, West Bloomfield, Rochester, Troy, Farmington Hills, Novi, Northville, Clarkston, Beverly Hills, Grosse Pointe, Franklin, Bingham Farms, Huntington Woods, Macomb County, Oakland County, Wayne County, and Southeast Michigan. ©2015 Jennifer M. Lujan P.C. All rights reserved.